Brighton is a well-known seaside town in the Southeast of England. 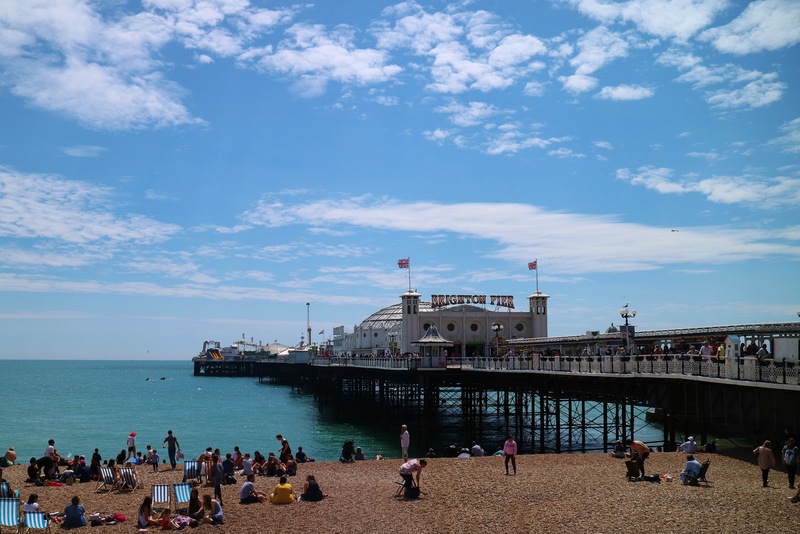 With its famous pebble beaches, the pier and being surrounded by the beautiful South Downs National Park - it's no wonder Brighton gets incredibly busy during the summer months. 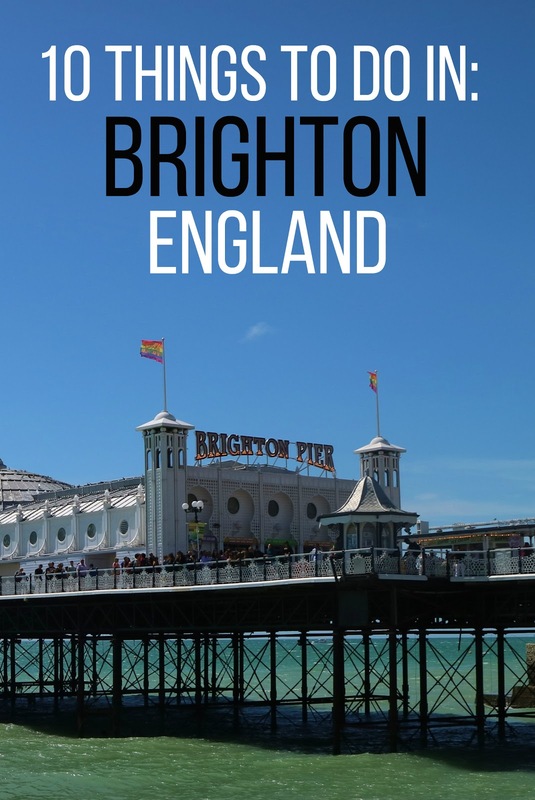 The easiest method to get to Brighton is to take the train or a local bus. You can drive, but parking is super expensive and way more hassle than it's worth. The station is only a 5-10 minute walk from the city centre and the beach. Trains for London are frequent and only take around an hour - making Brighton a popular day-trip destination when the warm weather hits the UK. It's impossible to visit Brighton and not head to the beach. If the weather's on your side, grab some fish and chips and eat them by the sea. If you fancy a sweet treat after that, then head to the pier for an ice cream or fresh, warm doughnuts. There's nothing quite like sugary doughnuts on the pier! Spend an hour or so wandering along Brighton pier. 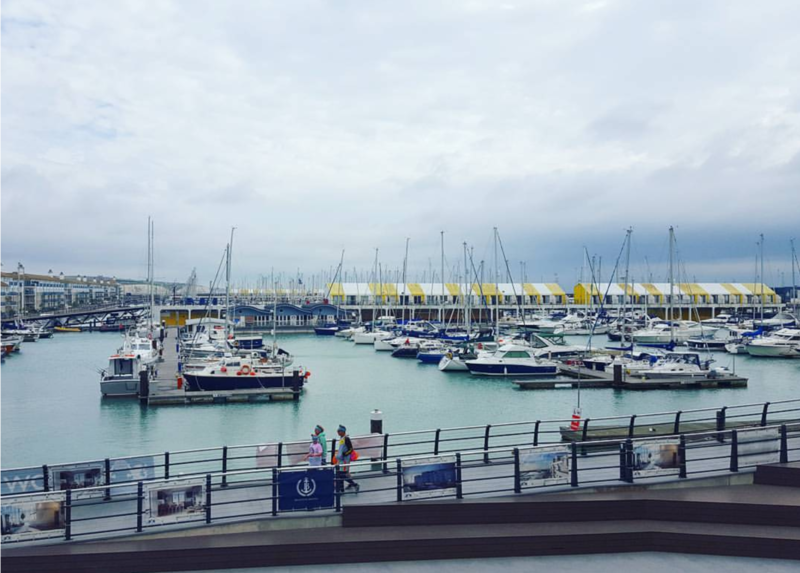 You'll find the classic arcade games and the 2p slot machines, and if you walk further to the end of the pier there's an amusement park with plenty of rides. The Laines in Brighton are areas of narrow streets, which are typically famous for their small independent shops, cafes and restaurants. 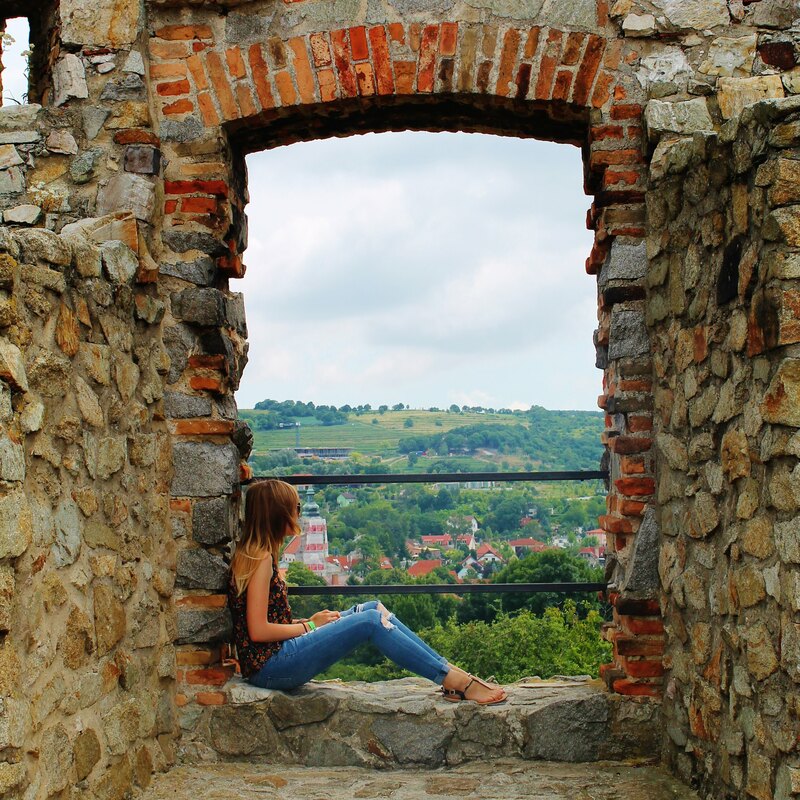 In the Laines you'll find from quaint home-ware shops, to piercing and tattoo parlors, to chocolate-themed cafes. There's definitely something for everyone here. 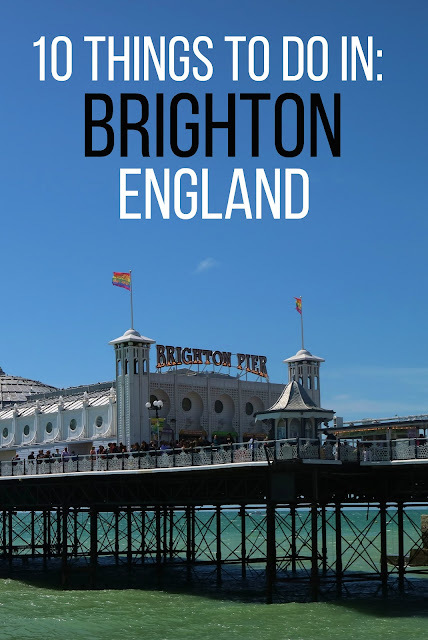 Brighton is full of music venues, ranging from small pubs where local bands can perform, all the way to the Brighton Centre that has a capacity of 4,500 people. I've seen bands such as Fall Out Boy perform (my first ever concert when I was 14! ), as well as Mumford & Sons - all live in Brighton venues. Opening in 2016, the Brighton i360 is a relatively new attraction. It's the world's tallest moving observation deck and gives amazing views over the beach, the city, and the South Downs National Park. Just make sure you pick a clear day with good weather to make the most of the experience. If you fancy a few drinks in the evening or a night out full of dancing and tequila, Brighton is the place to be. There are so many nightclubs, pubs and cocktail bars you'll be spoilt for choice. One of the things I love about Brighton is that the gorgeous countryside is only a short drive away from the city centre. Grab your walking boots and head out into the South Downs. An amazing way to spend an afternoon is walk for an hour or two to a local pub, have a drink or a Sunday roast, and then simply walk back the way you came again! This isn't something I've personally done yet - but it's on my to-do list! The Brighton Zip Line opened mid-2017 and allows you to zipline over the beach. Tickets cost around £16 for adults. On the outskirts of town you'll find the marina. Here you'll find plenty of restaurants, a cinema complex, bowling, a casino and even crazy golf and bumper cars! Right in the centre of town is the Royal Pavilion, a beautiful building that was once used as a military hospital for injured Indian soldiers. Today it's open as a museum and the gardens are a great place to enjoy some lunch in the sun. Tickets cost around £13 to visit the museum, but the gardens are free to enter. If you've come to Brighton and the weather forecast isn't looking fantastic then spend a few hours at the Sea Life Centre. It's underground and in a beautiful building with the original Victorian architecture. In fact, it's one of the oldest aquariums in the world.